Finding the value of a savings bond is quick and easy on the TreasuryDirect website. The U.S. Treasury Deparment aggregates all savings bond information through its TreasuryDirect website. It contains all the information needed to find out the value of current and past bonds. You can find out the value of a U.S. savings bond by following a few straightforward steps. Go to the TreasuryDirect website on your computer. Navigate to the website's value calculator. First, click on the "Individuals" link. on the next screen, click on "Tools," then click on "Savings Bond Calculator." Follow the instructions on the landing page entitled "Savings Bond Calculator" and gather the proper documents. 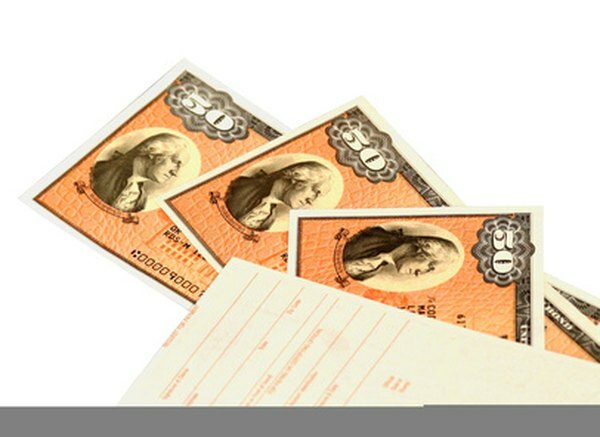 You will need all of the savings bonds you want to valuate. The site will let you compile them into an inventory if you wish. Click on the "Get Started" link under the section heading "Savings Bond Calculator." Decide the date of the valuation you are seeking. The first input box is in the upper left corner and is automatically populated with the current date. You can change that date to get a calculation if desired for a different time. Choose the series listing of your bond. This is a drop-down menu of options for the type of bond you are trying to research, such as EE, E, I, or Savings Notes. Choose the option that fits with the documentation you have. The series is listed at the top right of your bond. Select the denomination of your bond in the input box provided. Enter the serial number of your bond. This will be located in the lower right-hand corner of your bond. Enter the issue date of your bond. This will be located just under the series listing on the top right-hand side of your bond. It will be a 2-digit format for months and a 4-digit format for the year, such as " 05 2001." Click on the "calculate" button. This will give you the value for that specific day on which you do the calculation. If you choose to take the bond to cash out at a bank or convert the bond online, the valuation may change. As you enter each bond, the system will automatically create an "inventory" listing of your bond instruments for you.